Emily grew up on Orcas Island in the very northwest corner of Washington state, on a small, family farm where there were endless opportunities for exploration, play and learning. Her desire for knowledge and exploring eventually led her to Maine where she attended Bates College and studied education and psychology. This focus of study, in combination with personal experiences, propelled her passion for teaching and learning in outdoor environments. Since graduating from Bates in 2014, she taught and worked with a diversity of youth and young adults in both indoor and outdoor settings, as well as on the east and west coasts. She taught in a variety of settings Kindergarten and First grade at a Place-Based Elementary school in Maine, to substitute teaching in public schools and working for an expedition based outdoor education program in Washington. Most recently, Emily instructed for Outward Bound in Maine, leading expedition-based summer and fall courses. 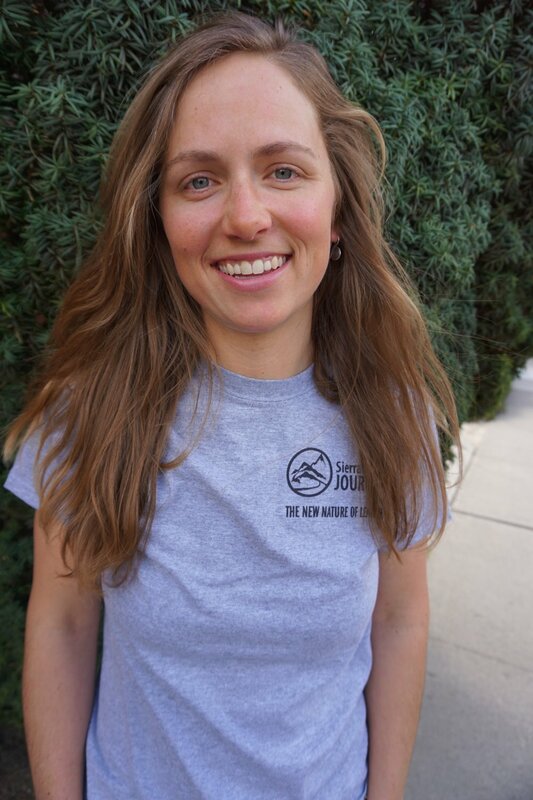 After several years with Outward Bound, Emily ready for a change and recently moved to Reno. When she learned about Sierra Nevada Journeys’s programs she was excited and inspired to continue to broaden her teaching experience to the Sierra Nevada region. When she is not working in the outdoors, she loves playing in it with friends and family in whatever way possible including backpacking, swimming, skiing, climbing and just being in the moment.